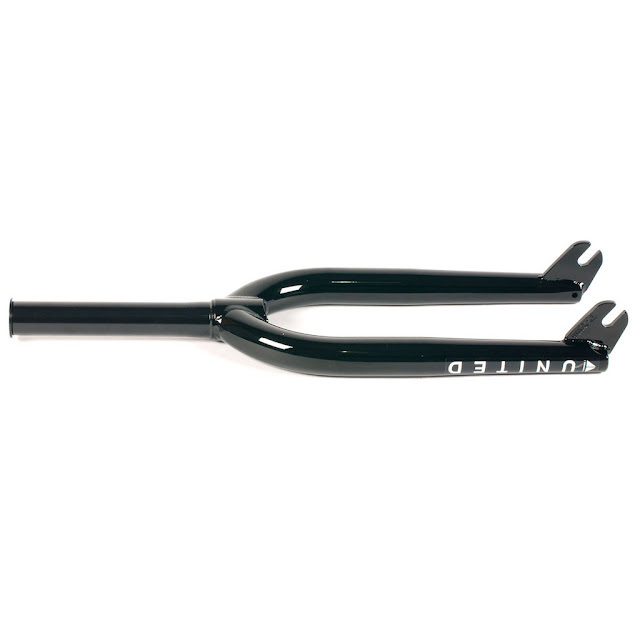 Not one area was left untouched on the United Dinero v2 forks. A revised steerer tube adding extra strength in key areas to accommodate the ever increasing height of bars and pressure that this puts on the forks, and a new thread for the top cap. Even more improved clearance for 2.4″ tyres, and the main change, a whole new mold for the invest casting dropouts. We moved the dropouts back to the more traditional offset position and by flattening on the inside we have made this sure to work with all front hub and hub guard set ups. A slight change to the outside now means that even the largest diameter plastic pegs will still sit flush in the dropouts with the wheel all the way slammed. Add to this some new logos, simplified colours and a great pair of forks just got even better. Evolving from our classic Squad forks, the United Supreme forks meet the needs of today’s rider in a strong and cost effective package. Clearance for 2.4 tyres is covered ( a must on any fork right now ) a slightly more responsive 28mm offset, custom fluted, butted and tapered seamless 4130 cromo legs with 100% post weld heat treating. 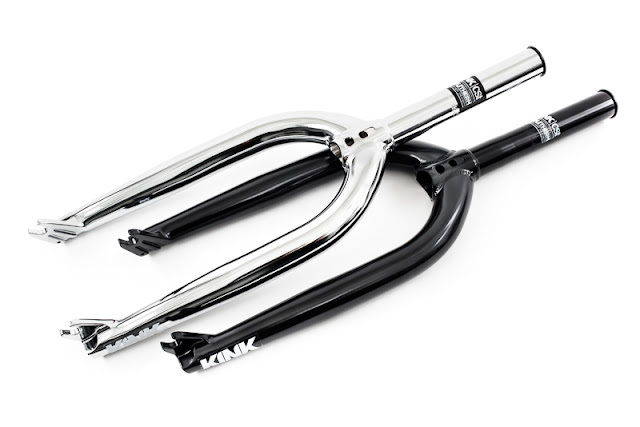 Curved fork legs improve the clearance for the larger diameter plastic pegs, along with a subtle engraved United logo and simple Black and Chrome colour ways to finish things off. Lightweight MTB fork made of triple butted Cr-Mo 4130 steel. Post-weld heat-treated. Molded bottom section of the legs. Steerer tube and legs machined inside for weight reduction. 1-piece CNC machined steerer tube. With integrated crown race to fit 45/45 Campy style bearings. Top cap made of 7075-T6 aluminium. Weight: 1.07kg / 2.36lbs. - without top cap. 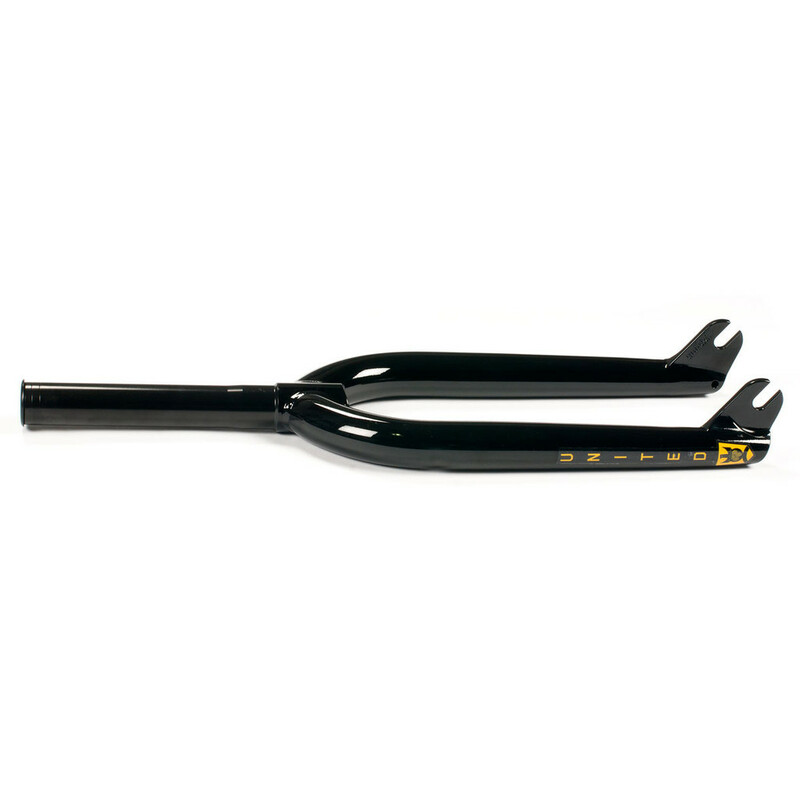 Lightweight BMX fork made of triple butted Cr-Mo 4130 steel. Heat treated after welding. Steerer and legs machined inside for weight reduction. Dropouts for 10mm axle. With integrated crown race. Steerer with inner thread and threaded top cap for easy headsets assembling. Saito II version comes with molded bottom section of the legs, modified butting and 5mm dropout. Bearing race: integrated (45/45 Campy). Weight: 870g / 1.92lbs. - without top cap. 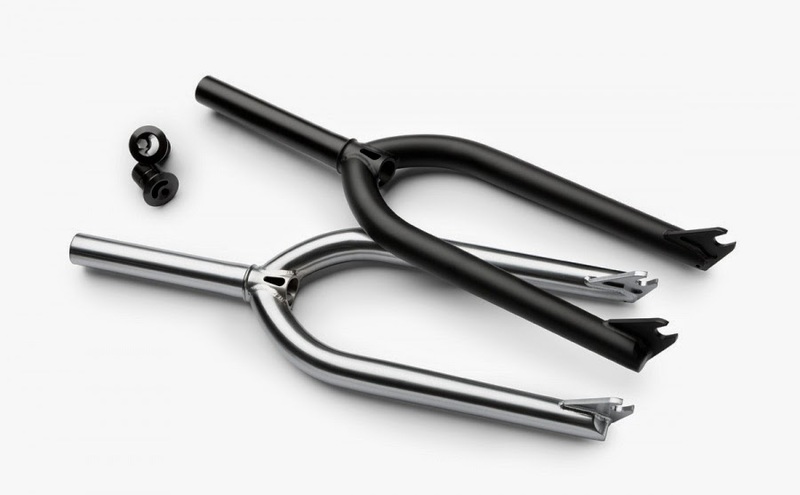 Lightweight park specific fork created for park/dirt riders. Designed to provide stability and control at high speed. Made of triple butted Cr-Mo 4130 steel. Post-weld heat-treated. Molded bottom section of the legs. 1-piece CNC machined steerer tube. With integrated crown race to fit 45/45 Campy style bearings. Top cap made of 7075 aluminium. Top cap: Aluminum 7075-T6, M25x1.5mm. 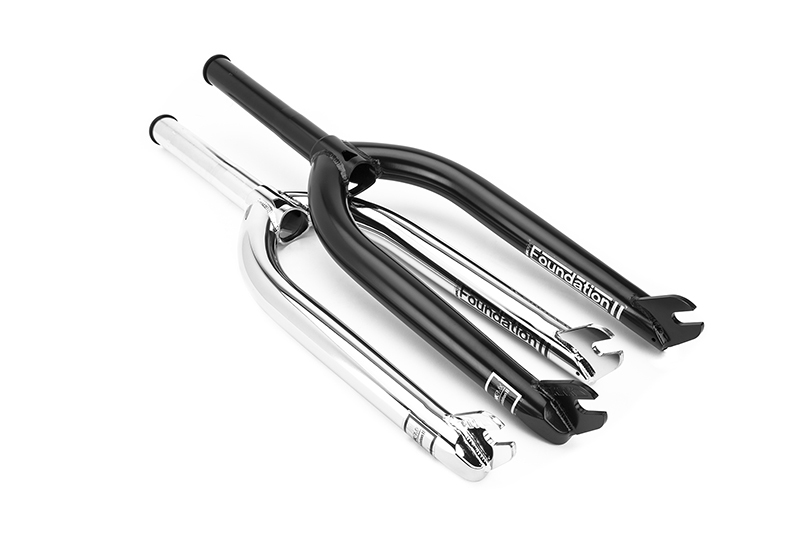 Lightweight street specific fork designed for peg use. Shortened offset to 26mm helps with front wheel balance. Made of triple butted Cr-Mo 4130 steel. Post-weld heat-treated. Molded bottom section of the legs. 1-piece CNC machined steerer tube. With integrated crown race to fit 45/45 Campy style bearings. Top cap made of 7075 aluminium. 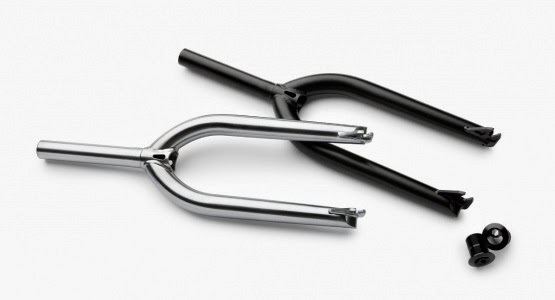 Perfectly shaped fixie freestyle fork, which may be adapted also for MTB street bikes. Made of triple butted Cr-Mo 4130 steel heat treated after welding. Steerer and legs machined inside for weight reduction. Dropouts for 10mm axle. With integrated crown race. Steerer with inner thread and threaded top cap for easy headsets assembling. Weight: 1.03kg / 2.27lbs. - without top cap.